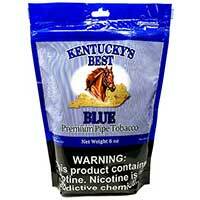 Experience the world’s best tobacco from Kentucky with each smoke you take! 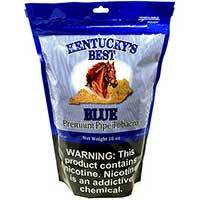 If you want quality tobacco at affordable prices, you’ll definitely want to try Kentucky Best Pipe Tobacco. This blend features quality flue-cured Burley and Oriental tobaccos that feature rich flavors and pleasing aromas throughout your entire smoking experience. The Kentucky Best Pipe Tobacco features a mix of shredded and blending pipe tobacco that’s cut a bit larger than traditional blends. But that’s okay since traditional pipe smokers will appreciate this unique characteristic. Kentucky Best Pipe Tobacco is made using old fashioned methods, so you know it’s made the right way You’ll have an easy smoke that’s mellow and smooth without any harsh aftertaste. If you’re a dedicated smoker, you’ll be more than satisfied with this blend! The Original blend is rich and robust, perfect for no-nonsense smokers who want the real thing. Smooth is a lighter blend that features the same great taste with a much smoother take. Mint is refreshing and cool, providing just a slight taste of menthol for days you need something more flavorful than Kentucky Best Pipe Tobacco’s original blend.